The start of a new school year or a new semester following a winter break can cause a child to feel anxious. In fact, your child could experience what is known as separation anxiety, which is a condition that causes a child or adolescent extreme distress when he is separated from his parents or caregivers. Separation anxiety is more common following a summer break, or in January after a holiday vacation, but it can be experienced at any time. What might separation anxiety look like for you child? It’s much more than just refusing to go to school. Every child resists going to school every once in a while, but school refusal for an anxious child can be distinguished from normal avoidance by a few things: how long a child has been avoiding school, how much distress he associates with attending school, how strongly he resists, and how much his resistance is interfering with his and his family’s life. This criterion is important, because a child can have anxiety-related school refusal even if he attends most days of school. For example, his anxiety could be so extreme that he has been tardy for school 20 or more times. Kids with separation anxiety and/or school refusal might also have a habit of leaving school early, spending extra time at the nurse, or communicating with parents a lot during the school day. Another thing to be on the lookout for is suspicious sick days. Often kids who are anxious about school and have separation anxiety will start to report unexplained symptoms like head or stomachaches. This very well could be a physical manifestation of their anxiety, which should be explored by a pediatrician, but it also may be that anxiety about going to school is his core issue. It might be that your child was out sick for a few days from school, and is now feeling the anxiety about catching up on all the work, and also separating from his parents. One of the first steps in relieving separation anxiety is to be aware that your child is experiencing it. If your child is saying that he doesn’t want to go to school or doesn’t feel well, listen to what he is saying. Separation anxiety may also present in other ways, such as refusing to leave your side, tears, or other unrelated fears. Here are some ways you can help your child prepare for a return to school after a long break, particularly if you know he struggles with separation anxiety. Get back into the routine. Start preparing your child for the return of school a few days to a week before school starts. Get back into the same routine your child was following during the school year. Allow your child to readjust to an earlier bedtime if you relaxed on nighttime routines over break. If multiple caregivers care for your child, make sure there is a consistent routine. This consistency helps children develop security and learn self-discipline, as well as makes them feel safe and comfortable. It may also help prevent tantrums and meltdowns. For a child struggling with separation anxiety, a consistent routine helps him feel more in control and know what to expect. Also, see if you can go in and look around your child’s classroom, and even possibly meet the teacher before school starts. Plan short trips to the playground at school often, and talk about what your child will be able to see from the classroom window, possibly even naming some of the trees or other landmarks with funny names and suggesting things he could do at recess and lunch. Give your child an opportunity to talk about his feelings. Listen to his concerns without leaping into rescue mode, or telling him how he should feel. He might just need you to listen to him and validate his feelings. Saying “calm down,” and “you’ll be fine,” are not very effective and may make your child feel more distressed. Instead use a calm, soothing tone, and say something like, “It sounds like you’re having a hard time. Let’s talk about this and work through this together.” You and his teacher can make a plan together after he shares with you the reasons why he is upset. Once his fears are brought to light, help him work out some of them in advance through the method of play. Some ways to do this include: acting out successful and loving separations and reunions with toys, and playing hide and seek, giving your child “safe” separation practice and the experience of being found over and over. Setting limits with your child is particularly helpful for adjusting back to school. Reassure your child by talking to him about how you can’t wait until after school to see his craft project for the day, or learn about what story the teacher will read, or what game he will play at recess. At drop-off, maintain a stance of warm confidence, transition your child over to another caring adult/teacher, give a hug or a kiss and say goodbye and then leave. Resist lingering too long around the doorway or sneaking back and seeing how things are going. Let your child know when he can expect you and keep your word. This helps your child to be able to trust and depend on you. Have confidence in your child’s teacher to handle your child’s feelings and take care of your child, and also believe in your child’s ability to manage his feelings at school. When to take more action. Some children may not exhibit separation anxiety for a few weeks into school, once the novelty wears off and he realizes this is not a temporary situation. Or a child’s anxiety may reappear after long holidays, summer breaks, or after an illness. It’s important to expect that it will occur, rather than be continually surprised when it happens. You can manage normal separation anxiety, and it may possibly go away on it’s own. However, if it lasts for months, or interferes with other activities for your child, your child may be experiencing something more severe and need the expertise of a therapist. Busman, R. (2014). “When Kids Refuse to Go to School.” Child Mind Institute. Retrieved on February 5, 2016 from www.childmind.org. Cedar, J. (2015). “Is Your Child Experiencing Separation Anxiety?” About Parenting. Retrieved on February 5, 2016 from www.childcare.about.com. Gold, S., Miller, L., & Jitlina, K. (2015). “Separation Anxiety During the First Days of Kindergarten: Tips for parents and caregivers.” Anxiety BC. 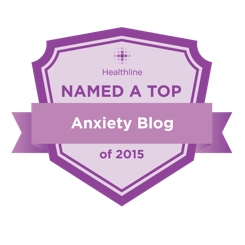 Retrieved January 28, 2016 from www.anxietybc.com.